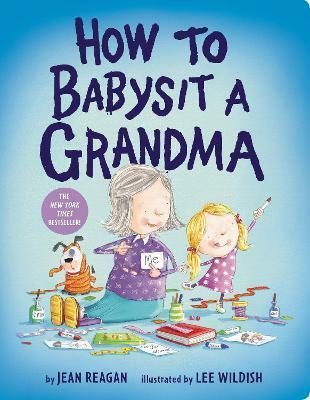 "Any grown-up who has calmly been the object of a child's flights of fancy will chuckle at the scenarios, as Grandma, never mugging or rolling her eyes, participates fully and patiently in all of her granddaughter's ideas...The charm of its premise and the clear bond between the generations will have kids and grandparents giggling together." JEAN REAGAN was born in Alabama but spent most of her childhood in Japan. She now lives in Salt Lake City, UT, with her husband. To learn more about Jean and her work, please visit jeanreagan.com and jeanreaganbooks.com. LEE WILDISH has illustrated a number of children's books, including Twosomes by Marilyn Singer. To learn more about Lee and his work, visit wildishillustration.com. Together, Jean and Lee are the creators of the New York Times bestselling HOW TO... series, including How to Babysit a Grandpa, How to Babysit a Grandma, and How to Surprise a Dad.